Very Good. Trade paperback (US). Glued binding. Cloth over boards. 224 p. Contains: Illustrations. Julia Rothman. From keeping chickens to raising vegetables, the allure of farm life is permeating popular culture. 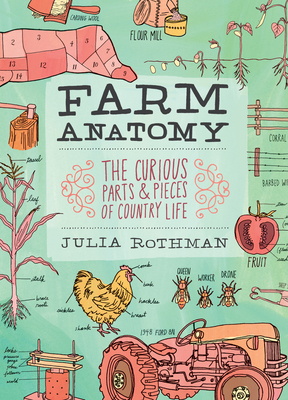 This visual guide to the parts and pieces of rural living dissects everything from tractors, pigs, and sheep to fences, hay bales, crop rotation patterns, and tools. It includes instructions for everything from making cheese to spinning wool. Fine. 1603429816 LIKE NEW/UNREAD! ! ! Text is Clean and Unmarked! Has a small black line on the bottom/exterior edge of pages. Tracking is not available for orders shipped outside of the United States. Fair. 1603429816 [Book is flawless except for bind. ] 100% Satisfaction Guaranteed.